D&D Beyond has published some stats on which Dungeons & Dragons adventures are the most viewed since the launch of the platform. These aren't sales, just how often adventures are viewed on D&D Beyond. Time is a factor - the longer something has been out, the higher its view count is likely to be. Dragon Heist ties with Curse of Strahd, leading the pack, with Rise of Tiamat bringing up the rear. Out of curiosity, I also added my own column showing their rating on EN World. They also looked at the most viewed individual adventure chapters. I strongly hope that data make clear to WoTC that a lot of people like non-FR adventures and that more diversity in campaign setting is needed: I believe that, removing the 'newness' effect of Waterdeep:DH, Curse of Strahd would be solidly first for viewings (and its 90% score here on ENWorld is astounding). But I also believe that those data are not so important for them in developing their publishing schedule. I wonder to what extent Curse of Strahd's success is related to its being an update of the original I6 Ravenloft for AD&D First Edition, a famous adventure with updates and conversions for almost every edition of D&D since it was published? To be clear, I'm not suggesting that it's done so well simply due to fame (though that might be a factor) but because, despite the mechanical changes between the editions, the overall structure and format of the adventure has gotten a lot more mileage throughout the years, essentially "stress-testing" the foundation of the adventure. I strongly hope that data make clear to WoTC that a lot of people like non-FR adventures and that more diversity in campaign setting is needed: I believe that, removing the 'newness' effect of Waterdeep H, Curse of Strahd would be solidly first for viewings (and its 90% score here on ENWorld is astounding). DotMM is equally new (within a couple of weeks) and is third from bottom. I'm not sure how much effect the newness is having. I personally think it's the best adventure WotC has put out. So what I'm seeing is people like sandbox adventures that feature unconventional settings, and when it comes to those adventures, they like the setting information more than the adventure itself. Hmmm... Maybe more setting material that isn't cookie cutter Forgotten Realms would sell? I think the maybe is not a maybe, it is more or less matter of fact. What I can't understand, as usual, is why it is not so clear for WotC. Waterdeep, Chult, and Phandelin are all pretty conventional, and in the Forgotten Realms to boot? Chult may be FR, but I wouldn't consider it conventional. It's not pseudo-medieval Europe. Waterdeep has more of a renaissance feel to it as well. It's pretty clear that generic dungeon bashing without a strong arc-plot is unpopular at any rate (TFTYP, DOTMM). Well, easy to do with the DMG alone, for sure. Don't need to buy an AP to make a megadungeon, particularly with the strong random tables in XGtE for encounters. Chult is standard jungle "Lost World" pulp. Very Burroughs, very"Appendix N." That is to say, conventional for D&D's pulp roots, as is anything Renaissance Faire-ish. Rather than "non-conventional" I'd say that it seems "generic" in the sense of "tied to a specific genre" is what people are going for: jungle adventure pulp, campy horror, urban intrigue, etc. I'd say Lost Mines scratches a little bit of a Western itch, too, with the small town needing help from nearby banditos. You can`t fool me forever, Crawford! Curse of Strahd has an evocative name on it's own, and the cover has "Totally not Dracula" sitting down with a glass of blood. People see this, and say "Gee-Golly, this is a D&D adventure where the party fights Dracula? That sounds cool, let me take a look at it!" This is probably what happened for W:DH and W:DotMM. People looked at the cover and snippets of W:DH, figured it was probably some variation of a bank robbery in D&D, and were slightly disappointed when they found the truth. In turn, when W:DotMM came out, less people were interested in it. Not only did the last installment in the Waterdeep adventure line mislead them, this one is weird and different from all of the previous adventures? Additionally, there are groups who haven't yet finished W:DH yet, so they don't even know if they want to "continue" with the line. Tomb of Annihilation, on the other hand, is quite infamous. Though I imagine zombie dinosaurs would have their own novelty, ToA has it's own legends about it's difficulty. As such, it's the one D&D adventure that someone who doesn't play D&D is likely to have heard about. I think people are looking at this wrong. Dragon Heist is being referenced so often because, unlike most modules, it’s more a setting guide than adventure. There are some 150 named npc’s in the module. There’s a huge amount of detail. Being able to reference that is hugely helpful. The other thing with Dragon Heist, Lost Mines and Sunless Citadel is they are low level, whilst the least popular adventure is high level. Heh... we probably need to wait for the results of Guildmaster's Guide To Ravnica's popularity before making any claims that people "obviously" want more non-FR setting material above all other things. Curse of Strahd might mean people want more non-FR setting material. Or it could mean that people want more expanded/reworked classic 1E adventures. Or it could mean people want small and contained sandbox setting areas that are complete campaigns unto themselves. Or it could mean all of those things combined. I don't think we can make any definitive claims from CoS that would greatly change WotC's publishing going forward. Very complex to assess. WotC is not so committed into having Ravnica become a success, IMO. For example, on DMsGuild is the only setting not supported by official wotc contents for developers (like art, maps, etc) neither by adepts' work. Setting vs Adventures - I will likely use a setting for more than just the amount of time I will use a 4-5 level adventure - so it will generate more views. Recognizable IP vs other stuff - Strahd and Waterdeep immediately draw attention of previous generation folks and others, while more generic renames of older production or just miscellaneous adventure names wont. High vs low - Adventures the at the surface seem to be specific to high level play (or continuations of previous products) lose the low audience in part. These factors (and others) certainly hit the relevance of "counting views" as an indicator of relative interest or relative quality. Additionally, as I work thru some of these now, I am plumbing more into the "people" in them and find that while there are chapters that set aside stat blocks for NPCs and Monsters, most of the info on those characters comes from the chapters about the places they are. So if you did a chapter by chapter view count, you would think me most interested in the towns and regions mostly, the adventure sites second and only a little interested in the NPCs. "We want Greyhawk! We want Planescape! We want Dark Sun! 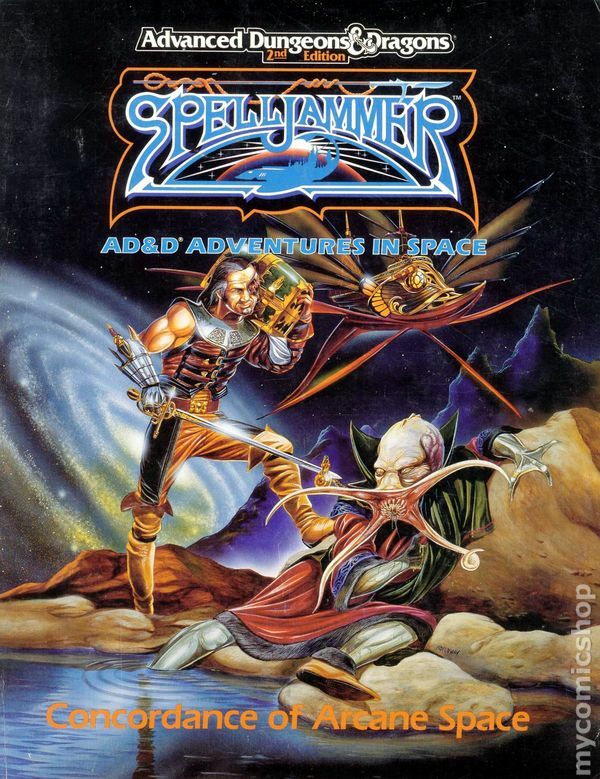 Where the Hades is our SPELLJAMMER?" WotC: "We hear you loud and clear; here's some Ravnica from our MtG line. Buy out that and we'll consider making what you asked for. In the mean time, isn't the Forgotten Realms keen? Why, it's just like your silly old Greyhawk, but with DRIZZT! And Elemental Evils! And Tombs of terror with liches in them! And giant, thief-riddled cities! What do you need silly old Gygaxhawk for anyway when you can have it all with Forgotten Realms? So yeah, buy Ravinca. That's what you all are really asking for. Trust us, we're your friends "
Pretty sure that's much more a factor that they do not want Magic:The Gathering branded material falling into the open gaming license? anyway, I could barely understand worries about art, but never about maps for example, which are no part of the M:tG game in any way.